located on every credit report, a summary of information is shown in tabular format which summarises the main status of an entity. This data shown is taken from both ABR, ASIC and CreditorWatch information. 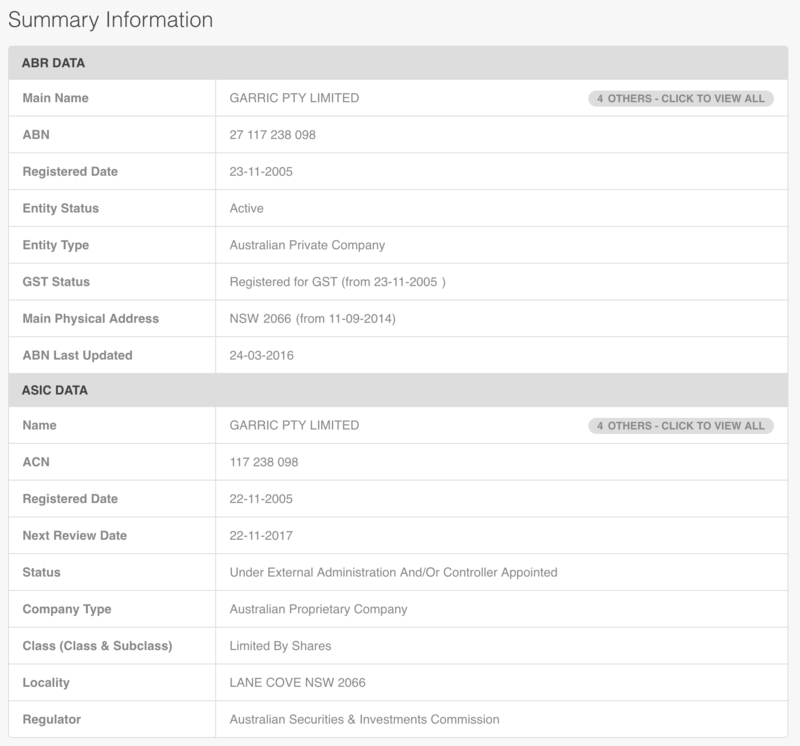 When available industry codes and descriptions will be appended to the end of the table. When multiple names are recorded on a credit report a grey button on the right of the name fields will appear documenting the number of additional names found and a link to view the list of names.